After 10 children were found "living in squalor," their mother and her husband were arrested and the children were taken into protective custody, police said Monday. 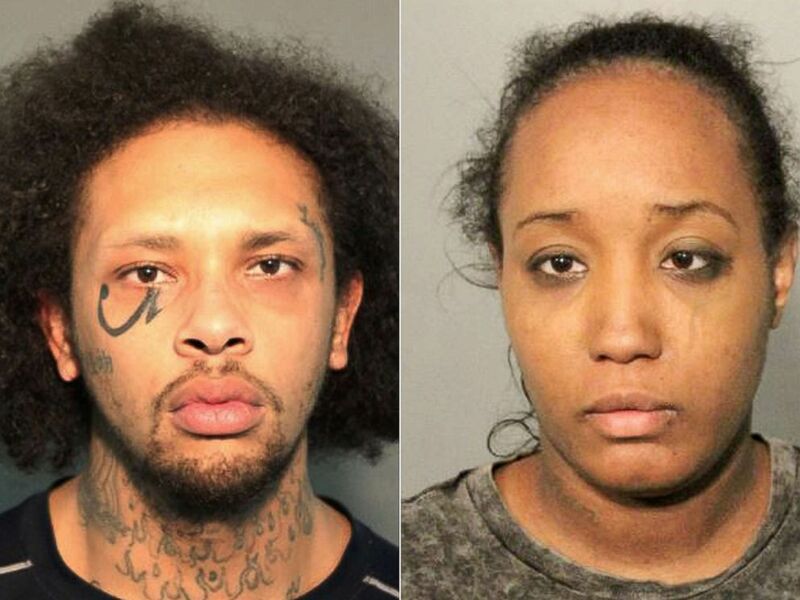 The children were first found inside the Fairfield, California, home on March 31, after police responded to a missing persons report, the Fairfield Police Department said in a statement. The missing 12-year-old was found and taken back to the home, where police discovered "nine more children, ranging in age from 4 months to 11 years old, living in squalor and unsafe conditions," the statement said. The children's mother, Ina Rogers, was arrested and booked into jail for child neglect in late March. Jonathan Allen, the biological father of only some of the 10 children, was arrested on Friday and booked into jail on seven counts of torture and nine counts of felony child abuse, according to The Associated Press. This combination of photos released May 14, 2018, by the Solano County Sheriff's Office show Jonathan Allen, 29 and Ina Rogers, 30. Police said their investigation revealed "a long and continuous history of severe physical and emotional abuse of the children," the statement read. Inside the home, officers found "garbage and spoiled food on the floor, animal and human feces and a large amount of debris making areas of the house unpassable,” said Fairfield police Lt. Greg Hurlbut. Hurlbut said the children described puncture wounds, burns and "injuries consistent with being shot with a pellet gun." Sharon Henry, chief deputy district attorney for Solano County, said in a news conference that "torture occurred in this house ... for sadistic purposes," according to the AP. "It literally breaks your heart, and you're outraged by how a parent or anyone could commit those acts," Henry said, the AP reported. 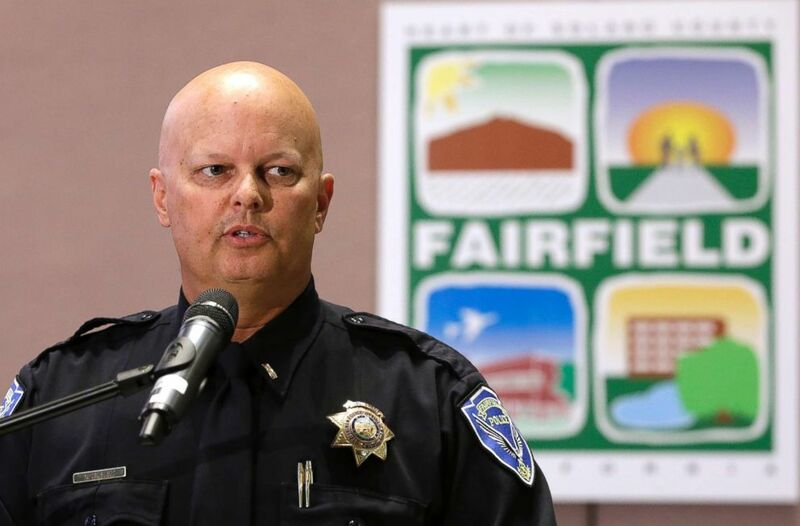 Lt. Greg Hurlbut of the Fairfield Police Department discusses the charges brought against a Fairfield couple, May 14, 2018, in Fairfield, Calif. The children's mother told reporters that police have the wrong idea and that she tore apart her own house looking for her missing 12-year-old son, ABC station KGO reported. "I was afraid that I could not find him. Once that fear sets in, you don't know what to do," she said. She denied that either she or Allen had abused the children. "Not only do I have 11 children and I'm 30 years old, but I also homeschool all of my children and people don't agree with that lifestyle and so I've had many people question my right to parent and I just feel like this whole situation was exploded," she told reporters. 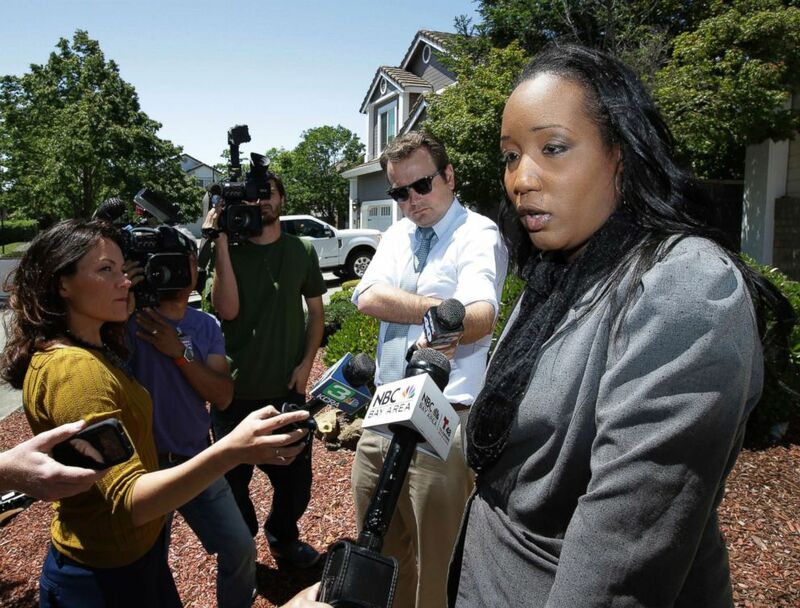 Ina Rogers talks with reporters about the seizure of her 10 children by law enforcement, May 14, 2018, in Fairfield, Calif.
Rogers has 11 children, she said, KGO reported. The oldest, a 14-year-old, did not live at home, according to KGO. The 10 children were initially placed in the care of Solano County Child Welfare Services, but are now staying with Rogers' sister and mother in the Bay Area, according to KGO. Allen is being held on $5.2 million bail, KGO reported. He has pleaded not guilty, according to the AP. Rogers is out on bail following her March arrest.